Once you have selected a domain for your new parking page you will see the following screen. At this point, your parking page is configured at Dub with your domain, but you still have to make a change to your domain at your domain registrar. This change essentially points your domain to your parking page. Below, we explain two different methods of doing this. Note how in screenshot 1, it says the parking page is also available at a URL that was provided by Dub. Each time you create a parking page, Dub gives you another URL for your parking page, which is Dub's sub-domain. This sub-domain is useful if there is ever an error in setting up your domain and you still want to visit your page. It also comes handy when setting up your domain name via a CNAME record, which we will explain below. 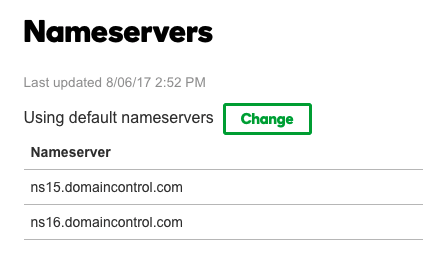 Most of the time, when you buy a domain name, your domain registrar will provide a basic DNS server with pre-defined settings for your domain. 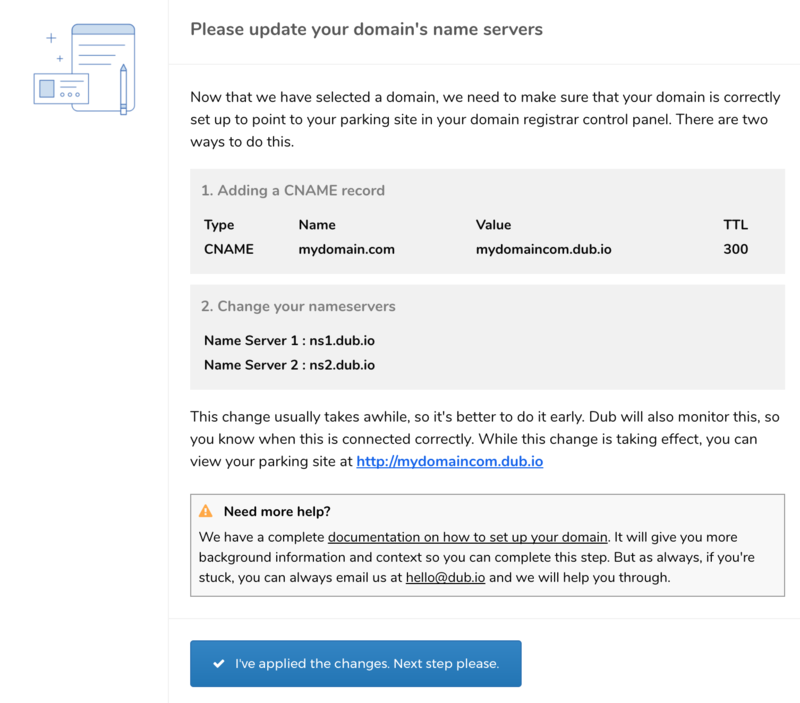 In order to point your domain to Dub's parking page, we can add a CNAME record. In the "points to" section, type in the sub-domain for your parking page provided by Dub. Lastly, set the TTL (time-to-live) to an integer value (e.g. 3600) for the change to be applied quickly.